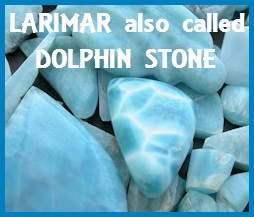 Smithsonite is a stone of tranquility, charm, kindness and favorable outcomes. It has a gentle presence and forms a buffer against life’s problems. 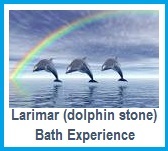 It is a perfect stone for releasing stress. 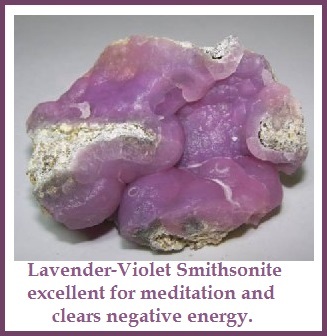 The energies of this stone are soothing and nurturing. Its deep healing qualities reach back into childhood and authenticates our emotional attachment while gently encouraging us to release the trauma. It heals the inner child. 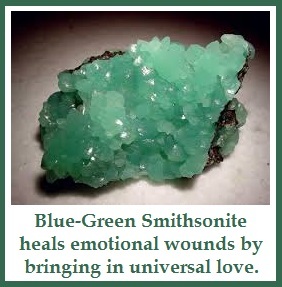 This stone is ideal for anyone feeling unloved or unwanted. It builds self-esteem and a sense of being worthy to give and receive love. 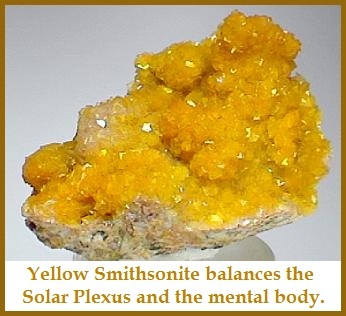 Smithsonite is very useful for balancing systems in the body. It works with the thymus gland and immune disorders. It strengthens bones, muscles and maintains health. How to use for healing: You can carry or place any of these colors where needed. 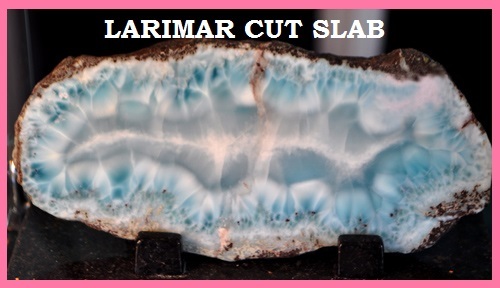 The chakras can be aligned by placing a Smithsonite above the crown. 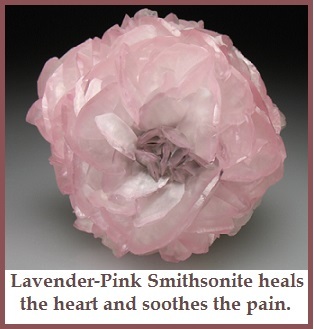 Grid for immune system: Place a Pink or Lavender-Pink Smithsonite at each of the four corners of your bed or body, under your pillow and over the heart or thymus. It is very effective combined with Bloodstone or Green Tourmaline taped over the thymus.